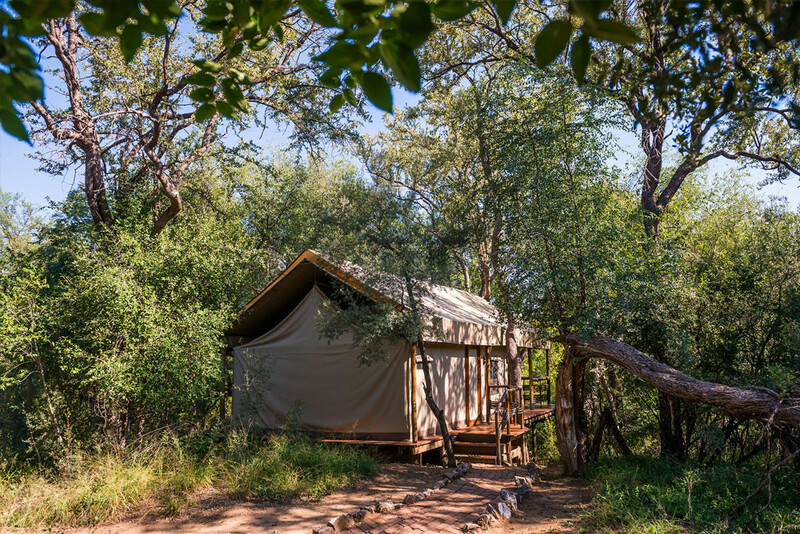 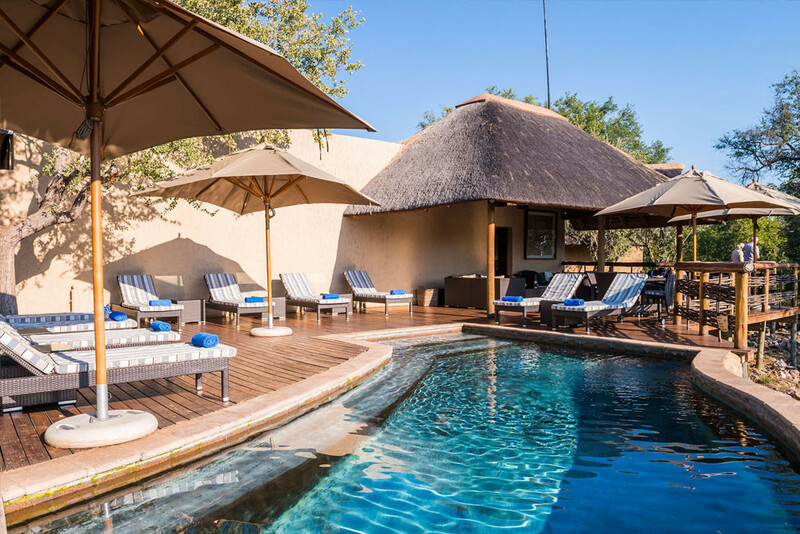 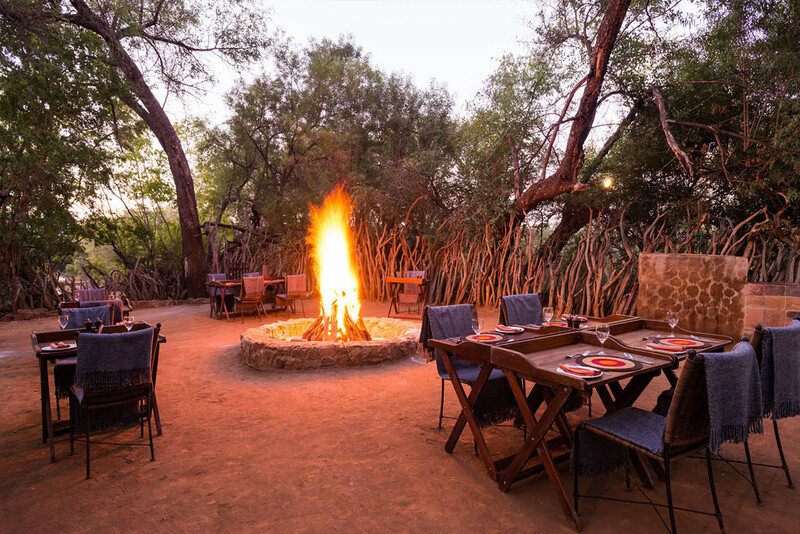 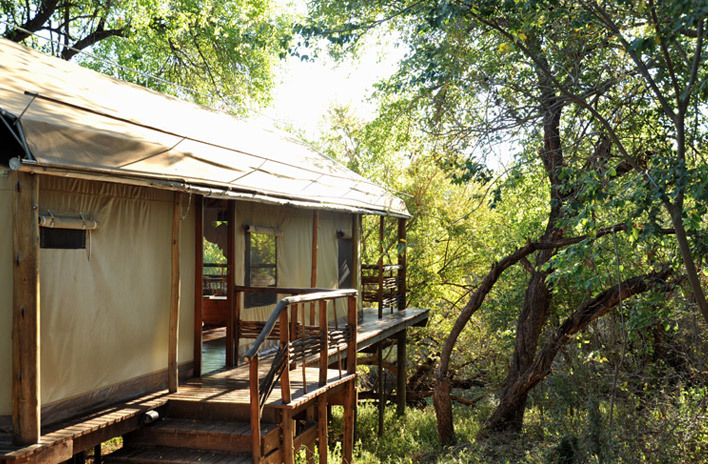 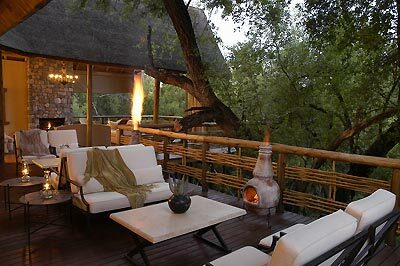 Thakadu River Camp is set within the canopy of the riverine forest on the banks of the Marico River, in the Eastern portion of the beautiful Madikwe Game Reserve. 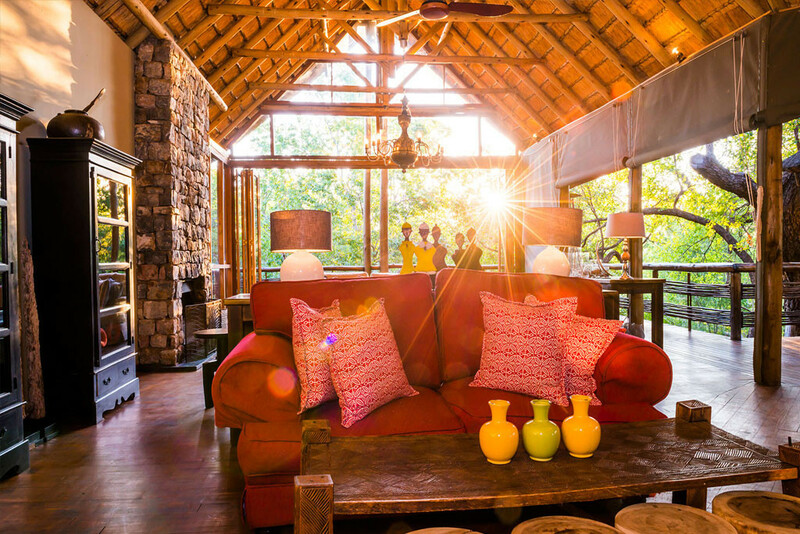 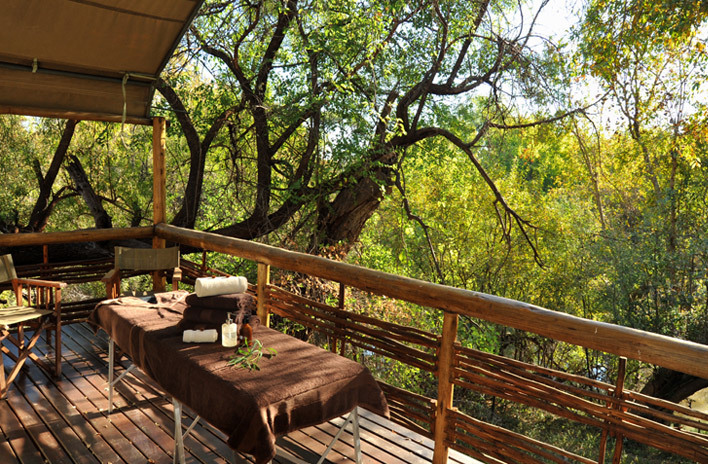 This treetop lodge has been built to blend in with the nature that surrounds it and allows guests to truly unwind and enjoy their peaceful surroundings. 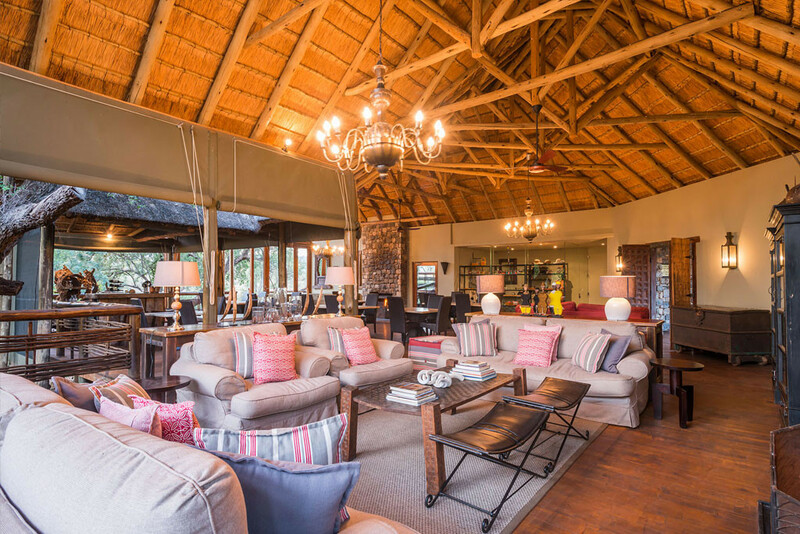 The main lodge consists of an open plan lounge, dining and reception area with a pool and bar area close by. 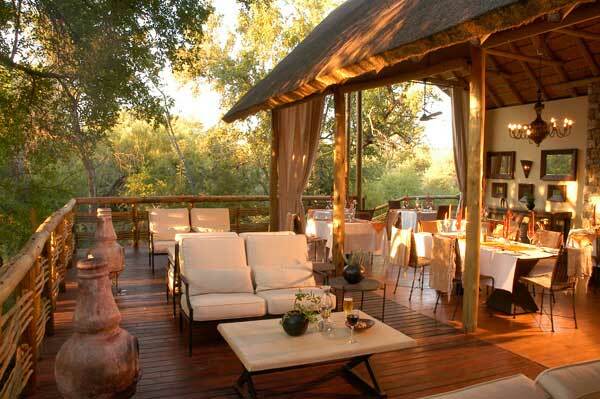 Enjoy the panoramic views from the traditional lapa that is set in the forest glade. 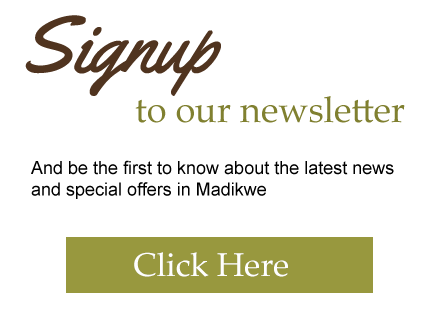 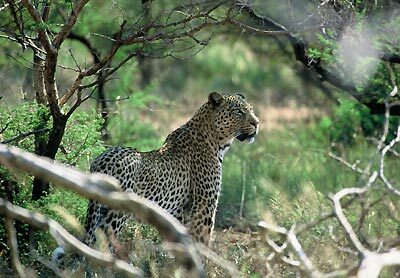 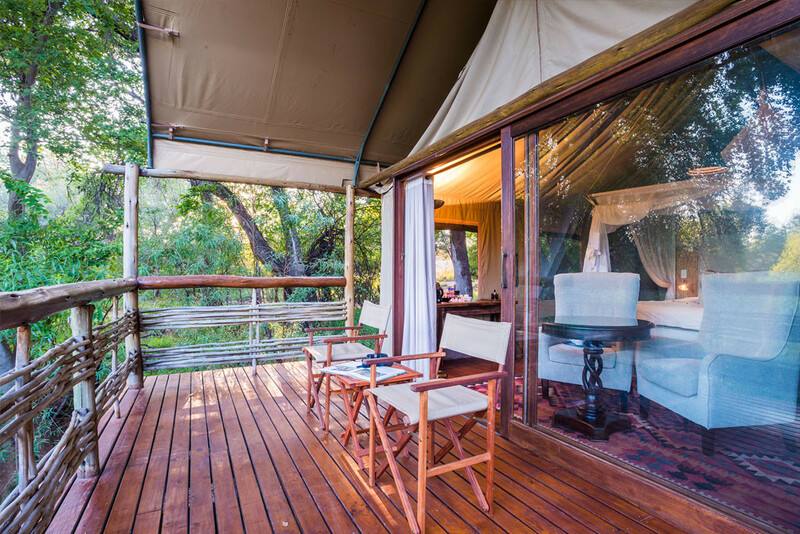 Thakadu River Camp is a wholly-owned, community-based tented safari camp. 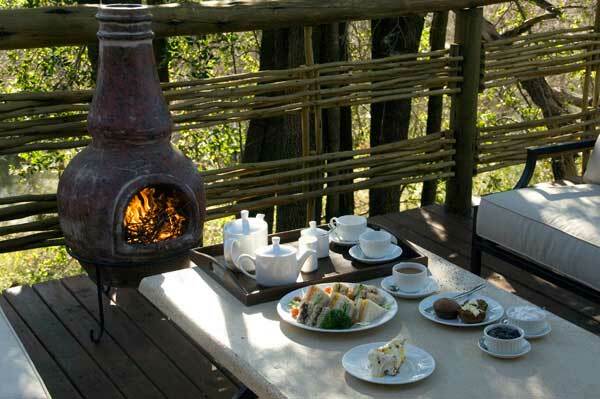 It is an ecotourism partnership between the Molathedi Community, African Hotels and Adventures and North-West Parks. 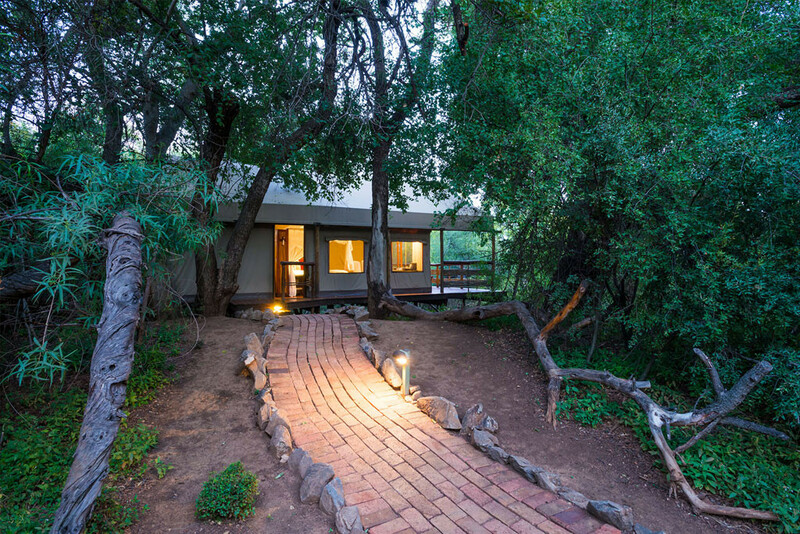 The concept is unique in South Africa with substantial benefits accruing to the community itself. 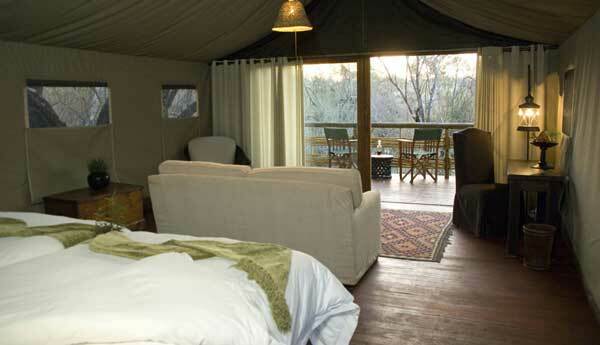 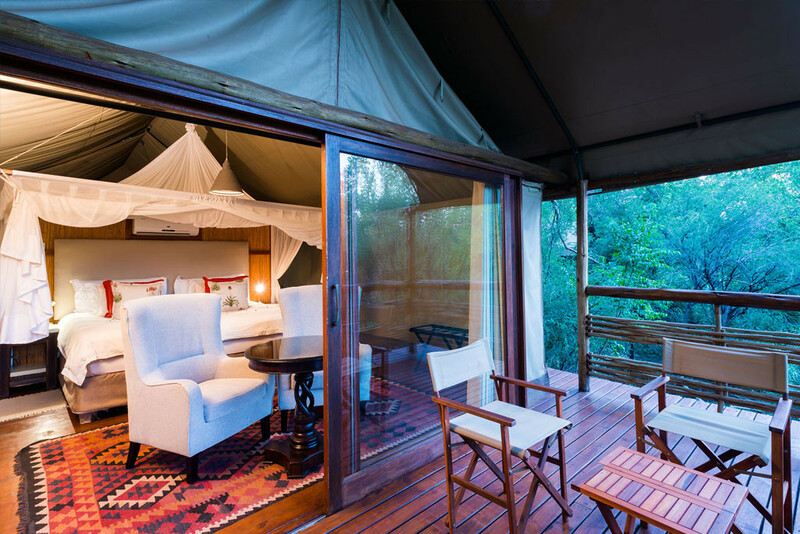 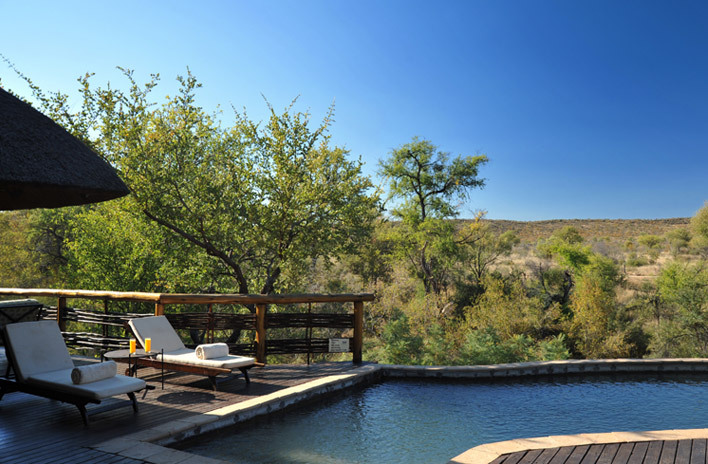 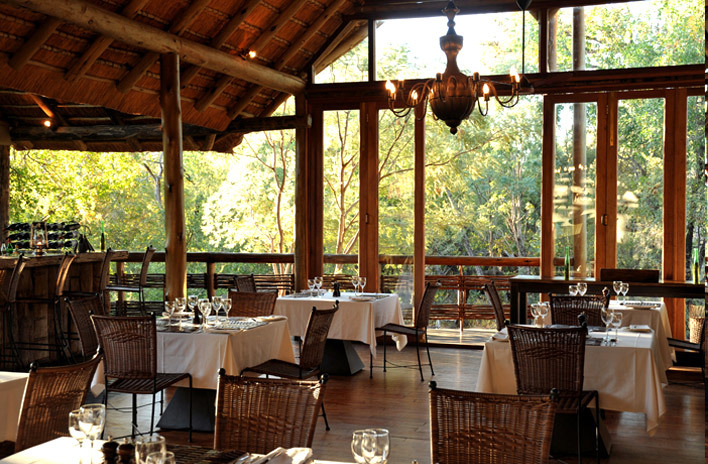 The Camp comprises of 12 en-suite, tented suites, each with their own private viewing deck overlooking the Marico River. 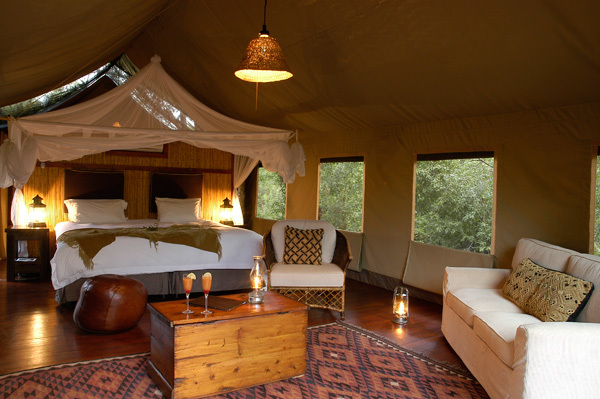 The tents are large and spacious and have a strong Afro-Asian ambience to them. 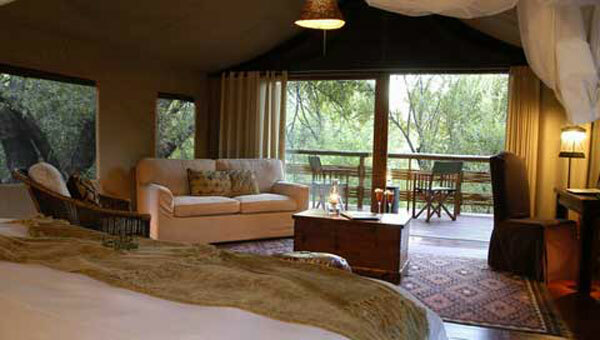 All of the suites are air conditioned to provide guests with comfort during the hot summer months. 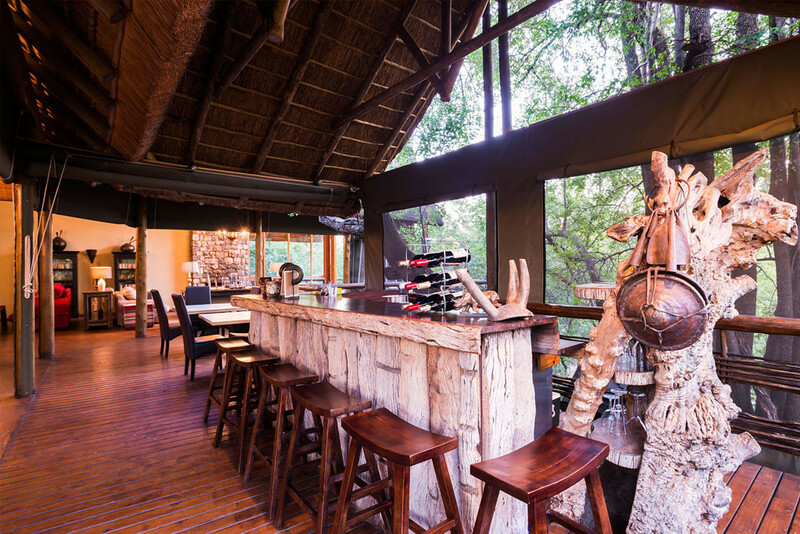 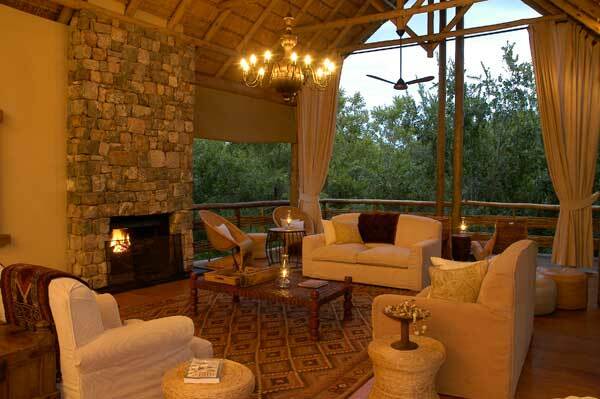 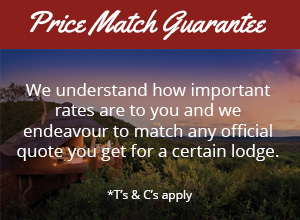 As a family friendly establishment, Thadaku River Lodge offers 4 family suites. 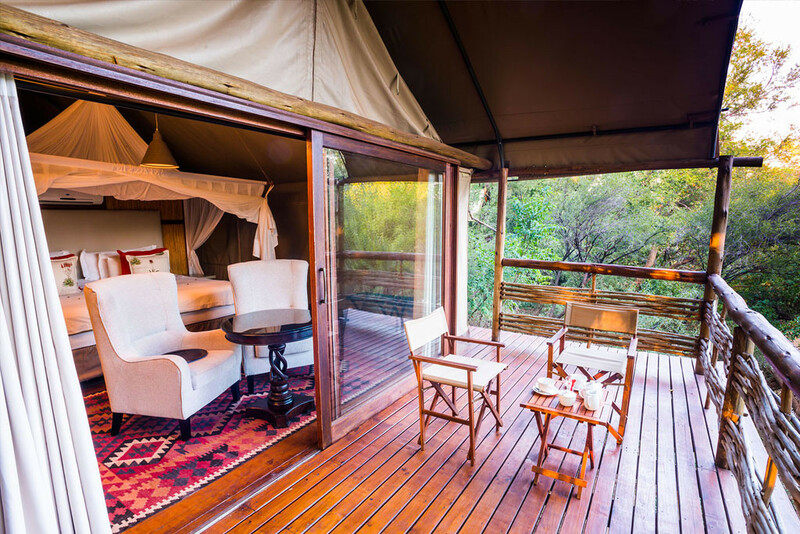 Guests are also welcome to treat themselves to a relaxing massage treatment in the privacy of their own tent or on their private deck. 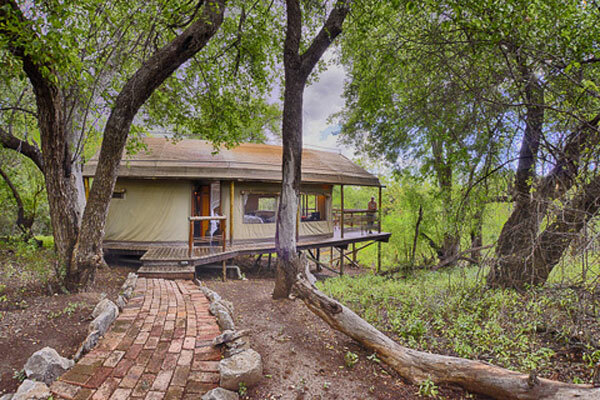 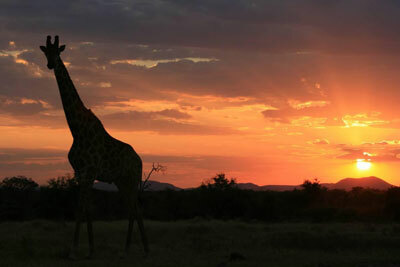 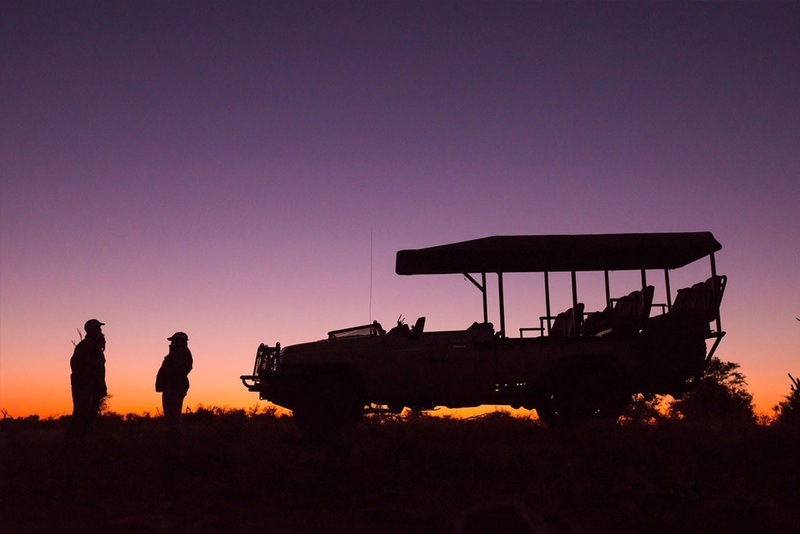 Our consultants have first- hand experience at Thakadu River Camp and look forward to assisting you with your holiday.